Creative problem solving isn’t just about coming up with good ideas. It’s about making sure you know what the problem is, generating lots of creative ideas and then picking the best idea. These three stages: problem finding, idea generation and idea evaluation can help you identify useful and original solutions. To help you we’ve identified a range of tools that scientific research has shown can work at one or more of the stages. 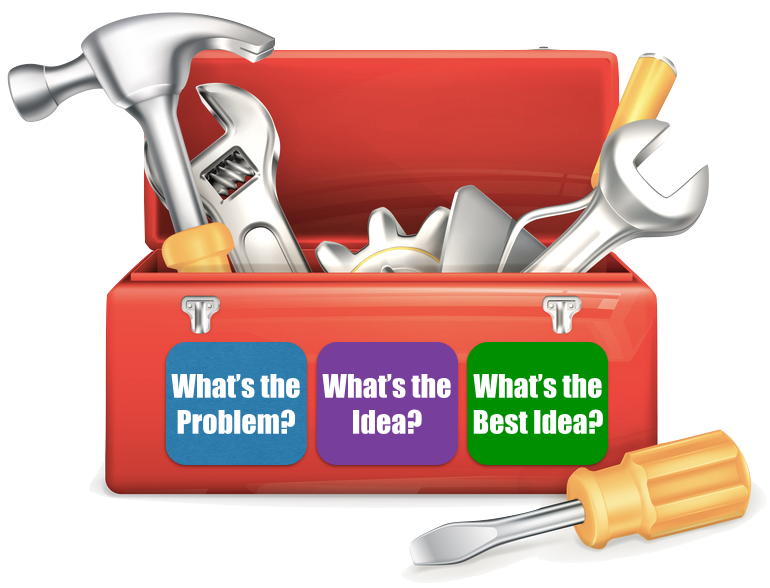 If you want to improve your creative problem solving skills try using these tools to help you.